More than 200 color snapshots of Jersey City, New Jersey, from Pavonia/Newport to Paulus Hook, from Grundy Park to Grove Street, along the Hudson River from the Colgate clock to Exchange Place, Harborside and through neighborhoods that have no names. Buccino, the writer who worked and walked these streets for nearly ten years, leaves words behind and speaks through the camera lens. We see the commonplace wildlife, the glimmering structures and the grandeur of the Twin Towers at the World Trade Center and the memorials erected in Jersey City. Having worked in Jersey City during the 1999-2009 building boom, Buccino watched the development along the light rail, along the Hudson River and saw new buildings spring up near and far. During his lunch hour he'd often walk along the Hudson River waterfront. Some days he'd simply walk across town to see what there is to see. 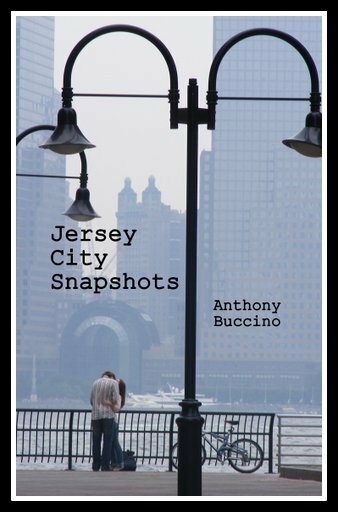 Jersey City Snapshots is a small cross section of the thousands of photos he shot during his walks. This collection is ideal for fans of Jersey City, and folks who've always wanted to visit.